The 2018 MHIF Heartbeat Gala was an incredible evening celebrating innovation. We hope you were inspired to find and embrace your adventure! A huge thank you to our sponsors for the evening. Thanks also to everyone who generously gave through the Live Auction and Hope Generator and participated in the fun Systole & Diastole game. 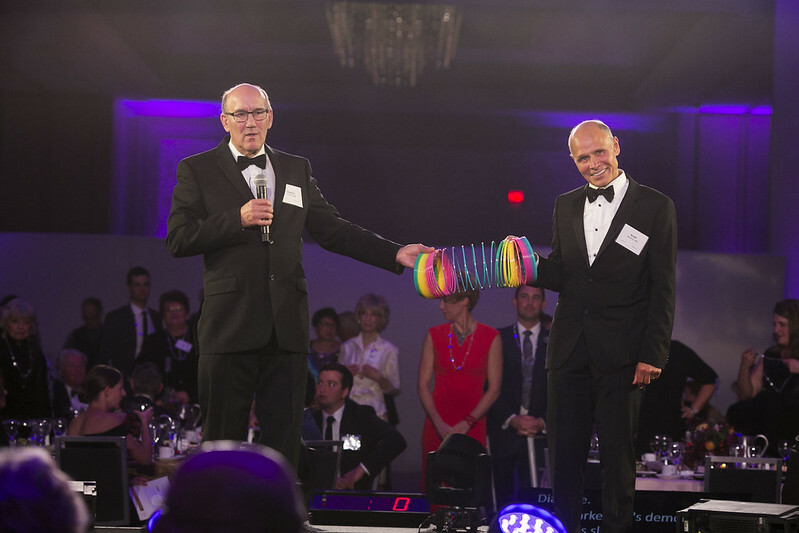 More than $160,000 was raised for the Innovation Fund to support physician-initiated research; total gala proceeds exceeded $675,000. Thank you! Join Gala Chair, Dr. Charles Gornick as we journey toward a world without heart and vascular disease. Discover the adventure that beats within our hearts. Learn about heart and vascular disease in younger people and the difference research makes. Opportunities for sponsor recognition at various levels. Please click for more information or email Shannon Vanderheyden, Events Manager. Alison Levine Served as team captain of the first American Women’s Everest Expedition, climbed the Seven Summits and skied to the North and South Poles. Born with Wolff-Parkinson-White Syndrome, after three heart surgeries and time spent in the business world, she understands the commitment and leadership to achieve in high stakes environments. Continue your adventure at our After Party featuring cocktails, snacks and heart-pumping music from Transmission-music. Minneapolis Heart Institute Foundation would like to thank the following sponsors for their generous support of the 2018 Heartbeat Gala.